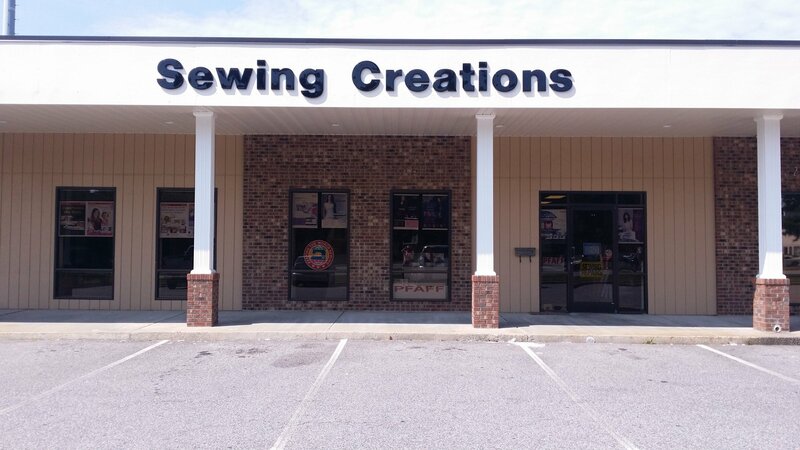 Sewing Creations is an exclusive Husqvarna Viking and Pfaff dealer offering a full line of innovative sewing, embroidery, and serger machines, as well as one of the best service departments in the industry. Our store features the largest thread selection in the Greenville, NC, region, along with high quality, designer quilting and heirloom fabric collections, sewing notions, quilting rulers, books, smocking plates, patterns, and more. Our friendly, knowledgeable staff specializes in prompt, professional service, providing customers with expert product advice, attentive personalized assistance, and ongoing support to promote an enjoyable and successful sewing experience. We will have a sew-in each month to provide help for you to make your quilt, the first kit will be released in March 2018. You can choose from two colors Light or Dark, that is all we can tell you about the quilt because we don't know what it looks like !!! All the fabric for the quilt will be included except the backing and batting. 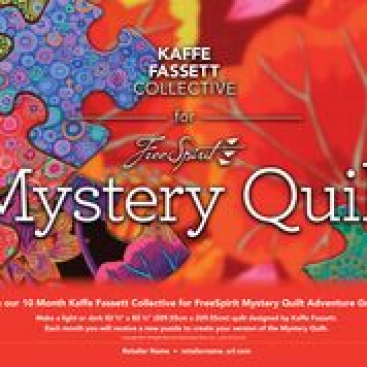 There will be Freebie of 10 piece mystery fat quarter bundle and binding for a thank you for playing in the Mystery Quilt program. We offer classes in sewing and quilting! Fun classes and events. There's something here for everyone.